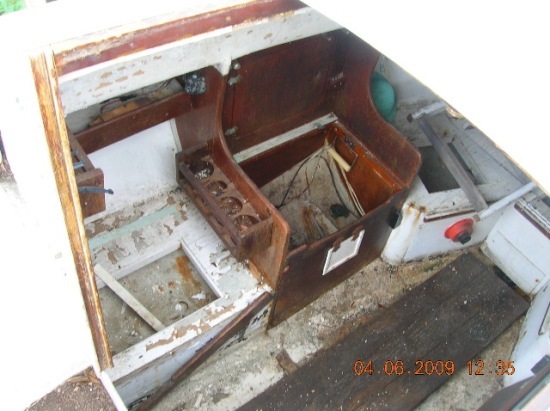 DFI (Dolphin Field Investigator) Rick Garrett brought this boat to our attention on April 7, 2009. 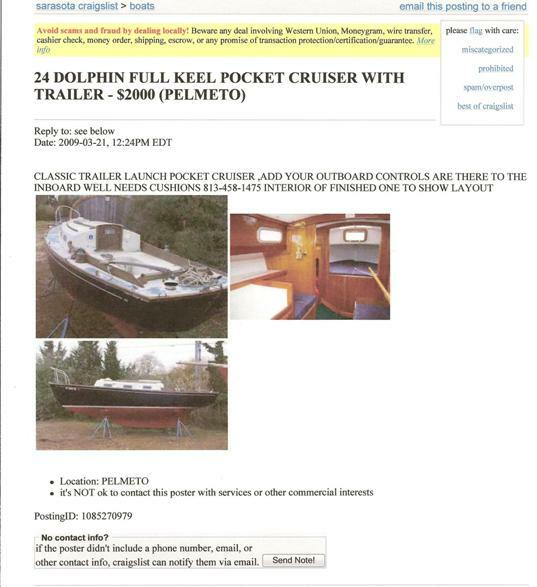 It first appeared on CraigsList, Miami, then Sarasota's CraigList, then St Petersberg's Craiglist, advertised as a "24 Dolphin Full Keel Pocket Cruiser". 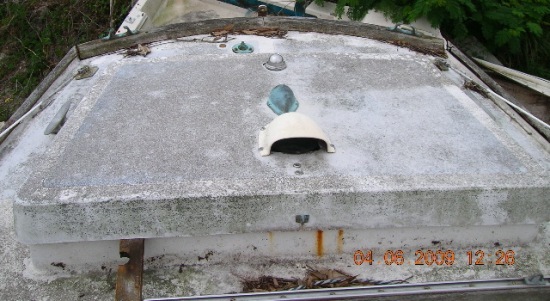 Rick took a number of pictures which indicate that this is might be a hybred built from Dolphin tooling? We dutifully entered her in the Rosters Sections pending further investigation. Over the year we tried hard to solve this mystery, with several theories, only to find out she was not a Dolphin 24. That effort is documented below. That's a Dolphin 24 all right - but where's the full keel? The ad hull photos are actually of Wally Strang's Black Dolphin !!! which is a Lunn built Dolphin 24. These pictures, understandably, contributed greatly to our early confusion. More theory - The Dolphin molds had a molded cove stripe, 2 'dots' (G D), the arcing Dolphin at the bow, and the split tail at the end. Hard to tell but these do not seem to be on this boat. 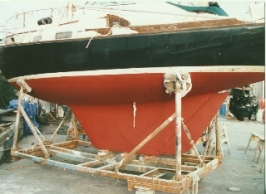 The keel looks very much like an Atlantic keel. The early O'Day and US Yacht investors had a close connection to Southport, CT, and the Pequot YC, home to an active Atlantic fleet and Dolphin 24 fleet, in the early 1960's. This might be a stretch but maybe one of them, or a connected friend, had a Dolphin 24 custom made with an Atlantic type keel and rudder? 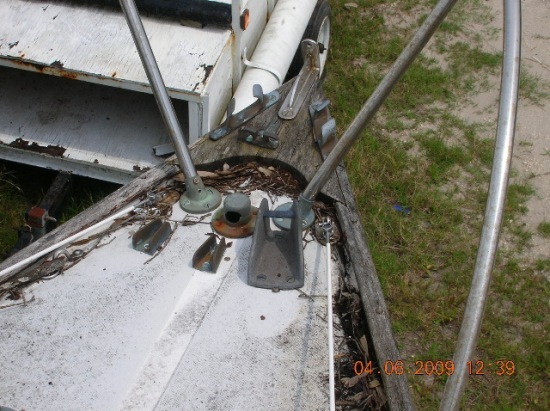 The water line lengths are close, as are the ballast and overall displacement. June 15, 2009. 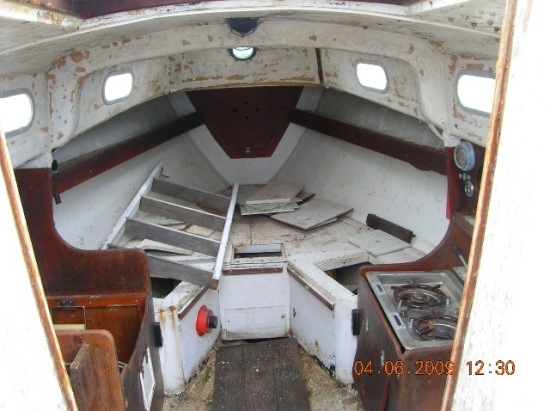 This boat has just been bought. The new owners, Angela Robbins and her boyfriend, have been in touch. We look forward to more photos, especially of the nameplate, and solving the mystery of what appears to be a full keel Dolphin 24. And here are 2. 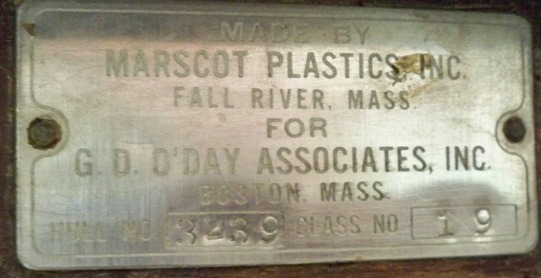 For more info on nameplates, click here. Here are a few more Windswept pictures. January 18, 2010. Over the past year this boat has enjoyed much speculation and theorizing, but thanks to Senior DFI Mark Steinhilber (Rascal) we have breakthrough news. She is not a hybred Dolphin 24, although a couple of her genes may well be mixed up with our Dolphin's. She is a Phil Rhodes design called an Outlaw, 26 ft overall, and is a bigger sister to the Tempest. 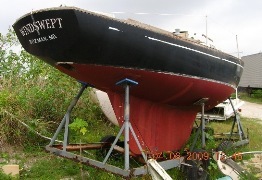 Both were built by O'Day in the early 1960's - this boat was built after the start up of the Dolphin 24 production. I was digging around and found out that the black hulled Windswept, full keel version for sale, alleged to be hull 16, is not related to the Dolphin. It is actually a Phil Rhodes design called an Outlaw, 26 ft overall, and is a bigger sister to the Tempest. 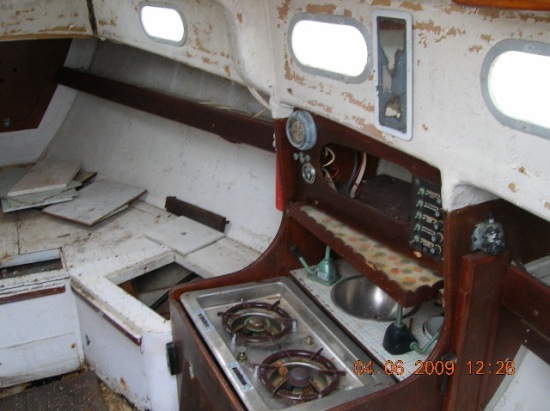 Both were built by O'Day in the early 1960's. At left is a similar picture I found on the Tempast website where I found the info. Here is the link. The hardware looks familiar, just what O'Day was using on their boats of that size in the 1960's. 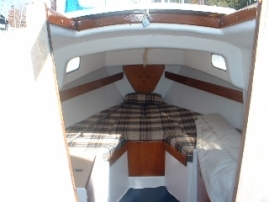 Looks to me like the Dolphin gives you more interior amenities and an inboard on a 2 ft shorter boat! And which is also faster and sails to it's PHRF rating more easily ???? We have removed Windswept from the Rosters Sections but gave her a page here in our Stories section. The similarities are, perhaps, not coincidental. 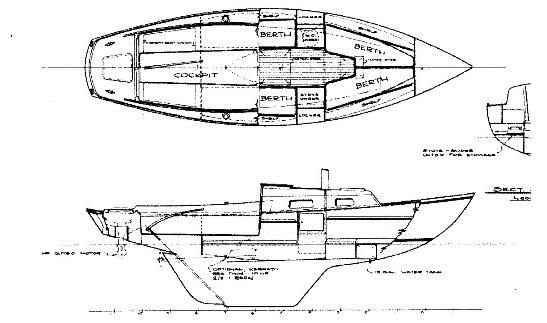 Palmer Scott whose Marscot Plastics company built the first Dolphins, also built Rhodes 19s. which was acquired by O'Day.